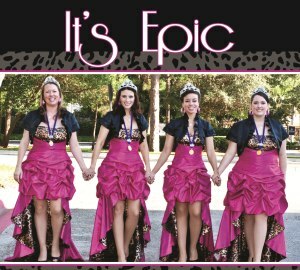 Those of you who have come to know us over the last couple of years probably have picked up on the fact that we’re slightly proud (well, maybe a little more… ahem… fine, a LOT more than slightly proud) of being affiliated with Harmony, Inc. We love the women in the organization, we love the spirits of the chapters, and we love singing what are traditionally guys’ charts on the guys’ scoring system for contest. Now we get to tell you another little something that we love. And as it turns out, it happens to be something we love that helps something we love. Confused yet? Let’s be more clear… there’s good news for Harmony, Inc.! Our bass, Shana, is engaging in a new quartet project. Despite the tendency to think this might mean something more behind the curtain, it doesn’t. She’s not leaving Epic, and Epic is not slowing down. We have many shows on the books for next year and we’re just about to launch our very first (of many??!!) CDs. We’ve never been closer as a quartet and we love hanging out together. Our Epic family continues to grow with new babies (Shana’s son is due in October) and we just founded Bella Nova Chorus together, as a team. 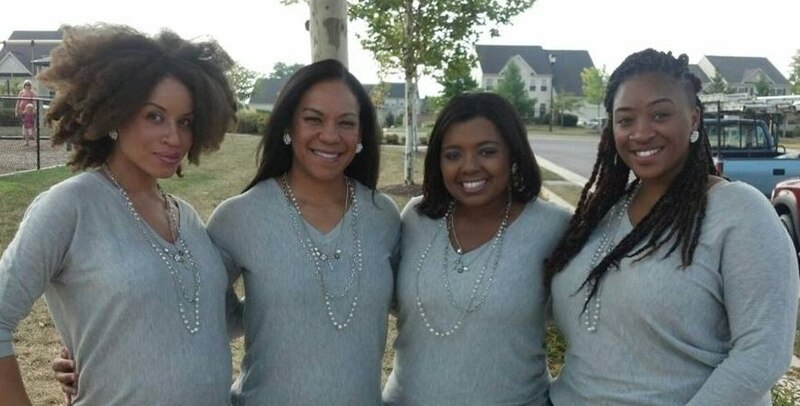 We support Shana and her new Harmony, Inc. quartet, Halo, one THOUSAND percent. We support them because #1) Harmony Inc. just gained three super-talented new members. Score. #2) Shana gets to grow her chops on another voice part. Excellent. She’ll finally quit stealing tenor notes from Chris (yeah, right). #3) Halo is made up of four talented and gorgeous African-American women. We think this sets an inspiring example for the youth harmony movement, and so do they. So we wanted to give you the scoop! We are thrilled to welcome the Halo quartet members to the Harmony, Inc. sisterhood. And for those of you who reached out to us about auditioning for the bass part of Epic, we assure you that we’re all good 🙂 Shana is little but she’s tough… she can fight off the masses to keep her spot!! LOL. Some of the Halo members might be able to join us in Windsor, so please take a moment to meet them… or better, yet, sing with them!!! They’re really good! They’ll be competing next year for the first time, and their three biggest fans (Epic Chris, Epic Anne and Epic Kris) will be cheering the loudest for their success. We love you, Shana. We’re proud of you. And welcome, Halo Quartet! You’re about to launch on one of the most incredible journeys you could imagine. Trust us….